Obama Tells Samantha Bee: Hillary Clinton's Ambition Might Be Questioned During Her Presidency [VIDEO] - Joe.My.God. 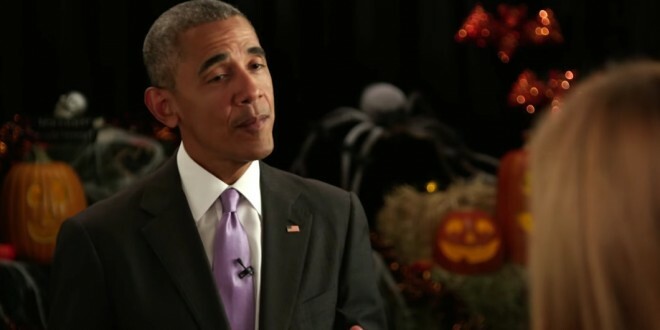 President Barack Obama said Hillary Clinton’s ambition might be questioned if she becomes president, during a Halloween-themed interview aired Monday. “If and when Hillary is president, what do you think will be the female equivalent of ‘you weren’t born in this country? '” Samantha Bee, host of “Full Frontal with Samantha Bee” on TBS (a subsidiary of Time Warner, which also owns CNN), asked Obama.